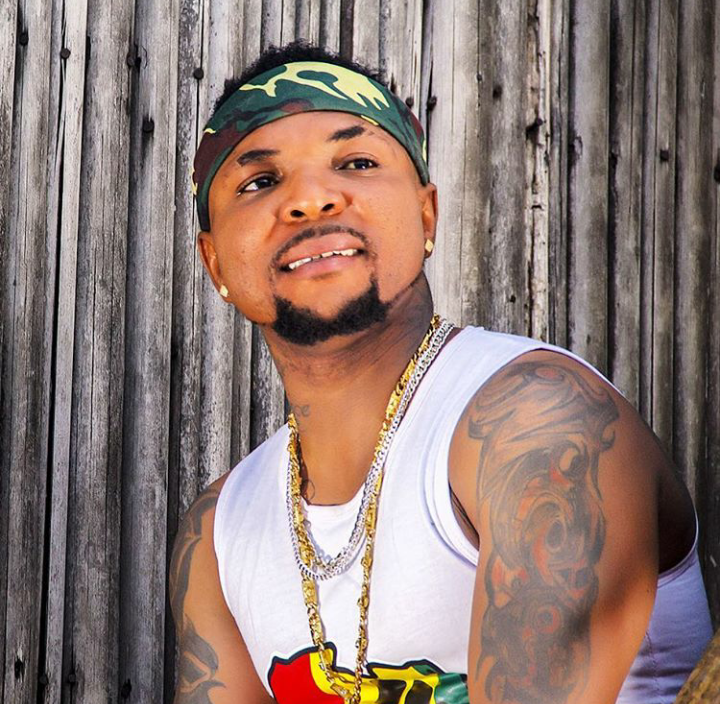 Nigerian Dancehall singer, Oritsefemi, has taken to Twitter to boast about his prowess as an artiste. In a bid to call out some people for not playing his latest song, the singer threw subtle shades at those heading Nigeria entertainment industry. 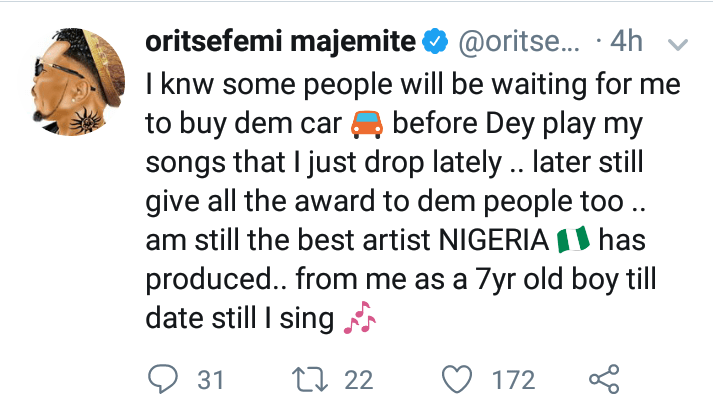 I knw some people will be waiting for me to buy dem car before Dey play my songs that I just drop lately .. later still give all the award to dem people too .. am still the best artist NIGERIA has produced.. from me as a 7yr old boy till date still I sing. Hypocrite, Them no sha fit pursue me for my own country , that na one Thing i knw for sure.